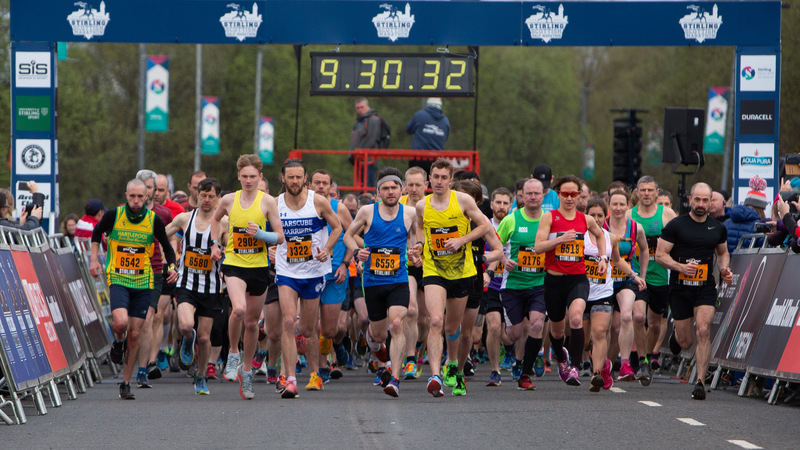 The Simplyhealth Great Stirling Run has been shortlisted for a prestigious national award – boosting the city’s reputation as a top-class sporting venue. The marathon and half marathon event, which is only two years old, has been named as a finalist in the Best Sporting Event category at the Scottish Thistles Awards. Judges for ‘Scotland’s Tourism Oscars’ hailed the sporting extravaganza as ‘a game-changer for Stirling and its ambition to host major events’. The winner will be announced at a ceremony at the Edinburgh International Conference Centre on 14 March. Just over a month later (Sunday, 28 Apr), the third instalment of The Simplyhealth Great Stirling Run will take place with thousands of runners and visitors again expected to pour into the city. A family run and a ‘Maukit’ challenge – a mini tough mudder for children – is also being held on the previous day (27 Apr) to ensure everyone can get active. The news comes hot on the heels of the city successfully staging the International Cross Country Championships - the Simplyhealth Great Stirling XCountry - for the first time. On an outstanding day of sport, huge crowds watched world-class athletes in action and 1,600 people took part in a sold-out mass participation event, while Stirling was showcased to a worldwide TV audience on BBC One. Stirling Council Leader Scott Farmer said: “To be nominated for this major award is a fantastic achievement for Stirling, particularly given this was only the second year of the marathon. Convener of the Community Planning and Regeneration Committee, Chris Kane said: “A huge ‘well done’ to everyone involved in organising this event, including all the Council staff, multiple agencies and the Great Run Company, and a big thanks to our communities for their incredible support. More information on the Great Stirling Run and how to enter the various events can be found here. Pictures show runners at last year’s Stirling Marathon which attracted over 6,000 participants, including Outlander star Sam Heughan, pictured alongside Stirling Council Provost Christine Simpson.